Razer's larger than expected son. The track pad is awful. With the new larger size, the old 14-inch display has been swapped for a more standard 15.6-inch display with a slim 4.9mm bezel. The added real estate is nice when I’m traipsing though big dark caves in Pillars of Eternity or marveling at the scenery in Far Cry 5. In fact, there’s no real dealbreaker in the Razer Blade 15. Yes Razer Synapse, the software used to customize the laptop’s RGB lighting, continues to be so obnoxious it borders on malware. And Razer also continues to pack it’s laptops in an all black aluminium body that doubles as a magnet for fingerprints. Razer Synapse seems to want me to sign in every twenty minutes. It’s obnoxious, but standard for a Razer laptop. Because it moved up to the more common 15.6-inch display size, Razer can now provide quite a few options for display types. Want more colors and 4K resolution? You can pay for that. Need a 1080p 60Hz display so cost stays below $2000? That’s an option too. I opted to review the $2200 model with a 144Hz 1080p display. The 144Hz is nice for older games, where the Nvidia 1060 GPU can crank out more than 60 frames per second and really take advantage of the display’s ability to refresh 144 times a second. Yet I don’t think it’s worth the extra money generally speaking. That’s because while the Razer Blade 15 continues to be one of the lightest and thinnest gaming laptops out there, it’s not the fastest. 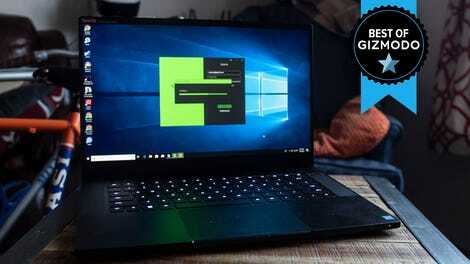 Inside Razer packed a 512GB SSD, 16GB of RAM, an Intel 6-core i7-8750H CPU, and a Nvidia Max-Q 1060. That’s a lot of power, but when I tested this year’s Farcry 5 in 1080 on the highest setting (Ultra) it managed an only decent 61 frames per second. That’s perfect for a cheaper 60Hz monitor, but means the 144Hz display is completely unnecessary. Razer does offer a more powerful 1070 GPU, but it would likely only do about 10-15 fps better in the same game. The similarly thin MSI GS65 with a 1070 did 76fps. 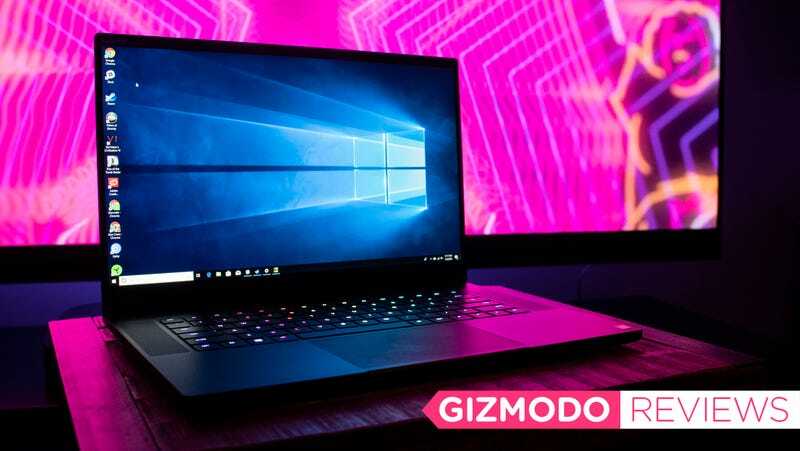 If a 15-inch workhorse like the Dell XPS 15 isn’t powerful enough for you, and the battery life on gaming laptops like the MSI GS65 is too middling, then check out the new 15.6-inch Razer Blade 15. Just maybe don’t splurge on that 144Hz display.